Thanksgiving Day used to be a day to spend at home with family eating turkey, watching football and napping. Black Friday, the day after Thanksgiving, was the day for shopping and doorbuster sales. However, over the last few years retailers like Walmart have started opening on Thanksgiving Day to kick off their Black Friday sales early. So, you may be wondering, is Costco open on Thanksgiving in 2018? While many retailers have started opening their stores on Thanksgiving Day to start the Black Friday shopping early, some retailers have chosen to remain closed on Thanksgiving Day so that their employees can spend the day with their families. If you want to shop instead of nap after your turkey dinner, it’s hard to know which stores will be open and which will be closed on Thanksgiving Day. Costco will not be open on Thanksgiving Day. Costco locations are normally open on Thursday, but they will be closed on Thursday, November 22, 2018 for the Thanksgiving holiday. Warehouse locations do not open on Thanksgiving Day so that their employees can celebrate the holiday with their families. Warehouse locations will reopen at 9:00 a.m. on Black Friday. If you can’t wait for Black Friday and want to shop on Thanksgiving Day, you can shop on Costco’s website and get early access to the Black Friday sale. Costco’s Black Friday sale will start on Thanksgiving Day at Costco.com. Online shopping with Costco has a few advantages over shopping in the warehouse. Non-members can also take advantage of the Black Friday sale online. You do not have to be a Costco member to make purchases through their website, but non-members are charged a surcharge. Black Friday deals may not be as good a deal when the surcharge is added for non-members. When Does the Costco Black Friday Sale Start? The Costco Black Friday sale starts online Thursday, November 22, 2018 at Costco.com. In store, the Costco Black Friday sale starts on Friday. All Costco warehouse locations open an hour earlier than normal on Black Friday. They will open at 9:00 a.m. on Friday, November 23, 2018. Black Friday sales prices are available Thursday, November 22, 2018 through Monday, November 26, 2018, but only while supplies last. There will be no rain checks offered for sale priced items that are out of stock. You can check out the deals in the Black Friday sale at costco.com. When Will Costco be Open Thanksgiving Week? Sunday, November 18: 10:00 a.m. – 6:00 p.m.
Monday, November 19: 10:00 a.m. – 8:30 p.m.
Tuesday, November 20: 10:00 a.m. – 8:30 p.m.
Wednesday, November 21: 10:00 a.m. – 8:30 p.m.
Friday, November 23: 9:00 a.m. – 8:30 p.m.
Saturday, November 24: 9:30 a.m. – 7:00 p.m.
Sunday, November 25: 10:00 a.m. – 6:00 p.m. If you have any questions about Costco’s hours this week or about any deals the company is having for the holiday, contact your local Costco directly. Will you be shopping Friday for Costco’s Black Friday sale? Share with us in the comments below! Will Target Open Early on Thanksgiving? Will Walmart Be Open on Thanksgiving Day? Is Costco Open Veterans Day 2018? Veterans Day often gets overlooked because it falls at the beginning of the hustle and bustle of the holiday season. However, because it is a federal holiday, many businesses choose to shut down for the day. While certain stores close, some may be holding Veterans Day sales. Is Costco open Veterans Day? If so, what kind of deals will the retailers be offering? Is Costco open on Veterans Day? Yes. Costco is open Veterans Day. Although Costco is one of few retailers to close its doors on holidays like Easter and Thanksgiving, it will remain open for Veterans Day. Is Costco Open on November 10? Costco is open November 10, or “Veterans Day Eve.” This year, Veterans Day falls on a Sunday. Costco will hold regular weekend hours surrounding the holiday. 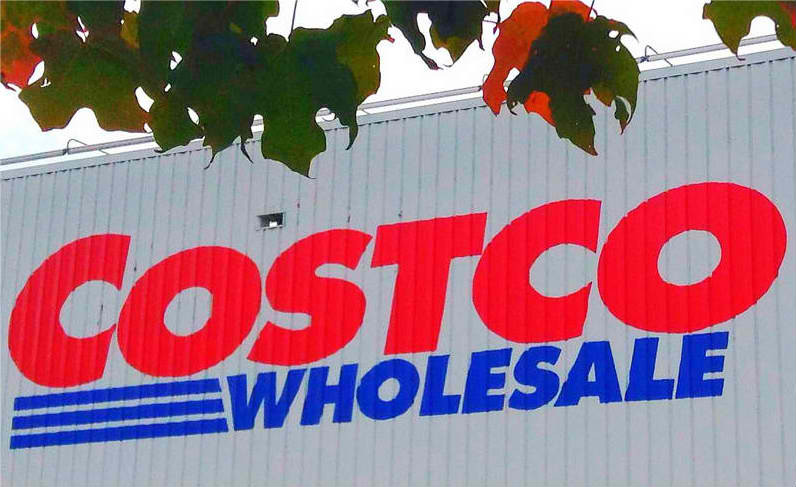 Will Costco Be Open on November 12? Yes. Costco is open the day before and the day after Veterans Day. As mentioned above, no hours surrounding Veterans Day will be impacted. Costco isn’t holding a specific sale for Veterans Day. However, Costco members will be able to cash in on the savings outlined in the Costco November 2018 Coupon Book. There is a large variety of deals being offered from televisions and electronics to items to help you get ready for Thanksgiving. Always keep in mind that if you venture out for any Veterans Day sales that you’re only getting a good deal if it is something you already planned on buying. Even the best of deals mean nothing if you’re spending money you don’t have! Readers, are you planning on going shopping this weekend? Is Target Open Veterans Day? Is the Stock Market Open Veterans Day? Are Banks Open Veterans Day? Costco is one of the major retailers which closes its warehouse doors more often during the year than many other retailers. While they don’t close for every federal holiday, they do close on some holidays to let employees spend time with their family members. Since Costco is often a destination store when a holiday approaches to buy supplies for that holiday, it’s important to a lot of people to know the holiday schedule for Costco warehouses. You can also download or print our 2018 Costco Holiday Schedule here. While Costco is open on both Christmas Eve (Monday, December 24) and New Year’s Eve (Monday, December 31), the store closes earlier than on a typical day. The stores will close at 6:00 pm on these days instead of the typical 8:30 pm. This can be important to know if you need to make a last minute run to the warehouse. Some warehouses may also extend hours during the Christmas shopping season. It’s important to note that the above holiday schedule and hours are general. There are exceptions to the rule, so it makes sense to verify with your local Costco if you have any questions. In addition, these are all planned closures for 2018. Other events, such as severe weather, may close a certain store during the year which aren’t listed above. It’s also important to note Costco warehouses and Costco business centers are not the same, and may have different hours. What is Costco’s Return Policy? Also check out our Target articles. This article has been updated for 2018. Americans are gearing up for a busy Fourth of July with an expected $6.9 billion in spending on food alone. On top of that, many retailers are staying open on the holiday and holding sales. Costco members may be wondering is Costco open on July 4th and what kind of deals is the wholesale retailer offering? Unlike other retail stores, Costco closes on Fourth of July to give its employees time with their families. The store will close at 8:30 p.m. on Tuesday and won’t reopen again until Thursday morning at 10 a.m. Although the store will be closed on July 4, the wholesale retailer is still offering some great deals surrounding the holiday. Below is what the latest Costco coupon book has to offer for your Fourth of July celebration. You’ll also be able to score great deals on hot dogs, hamburgers, and grills for the holiday as well. Check your local Costco for details. Are Costco Gas Stations Open on July 4th? Some people buy their gas at Costco religiously. However, Costco gas stations will also be closed on July 4th. If you want your discount, or that quality Costco gas, you’ll want to get it before the station closes on Tuesday at 9 p.m.
Fortunately, you’ll still be able to shop online at Costco.com. It is important to note that USPS will be closed on Wednesday, so anything you order may be delayed in delivery due to the holiday. Although Costco will be closed on Independence Day, there are still plenty of stores that will be open, such as Walmart. The Fourth of July has been a huge day for sales for retailers and will continue to be so this year. Do you have any additional information regarding Costco’s Independence Day schedule? Let us know in the comment section below. Fourth Of July: Are There Any Banks Open on July 4th? Fourth of July: Are Post Office, FedEx or UPS Open On July 4th? Independence Day: What’s Open and What’s Closed on the Fourth of July 2018?